As Executive Advisor – West, Sonny oversees the allocation of personnel resources and service delivery to our clients in British Columbia, Alberta, Manitoba and Saskatchewan. 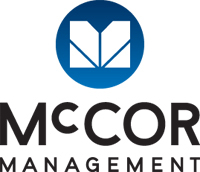 Sonny works closely with his team to ensure that McCOR Management not only meets but exceeds our clients expectations. A hands-on management style has always been Sonny”s greatest strength. 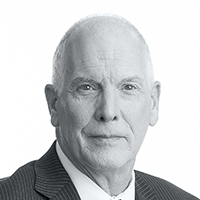 Sonny brings over 35 years of senior real estate management experience. Previously he was Vice-President of O&Y Enterprise, Northern Alberta & Saskatchewan. Prior to this role he was Vice-President Management Services for the Edmonton Region with Enterprise Property Group. Sonny began his career in Property Management in 1977 with Melcor Developments moving to L&C Management in 1984 and then on to Bowlen & Young Management Inc. in 1989, the predecessor company of Enterprise Bowlen Inc. and later O&Y Enterprise. Sonny obtained his Alberta Real Estate Broker License in 1984 and his CPM designation in 1987. He has been a board member at various times during his career of the Local IREM Chapter and presently sits on the Board of the Edmonton Apartment Association. He is the BOMA representative for McCOR Management in Edmonton. Sonny has been a panelist and speaker at a number of Real Estate events and he is involved with a number of charitable groups and sits on the board of homED.